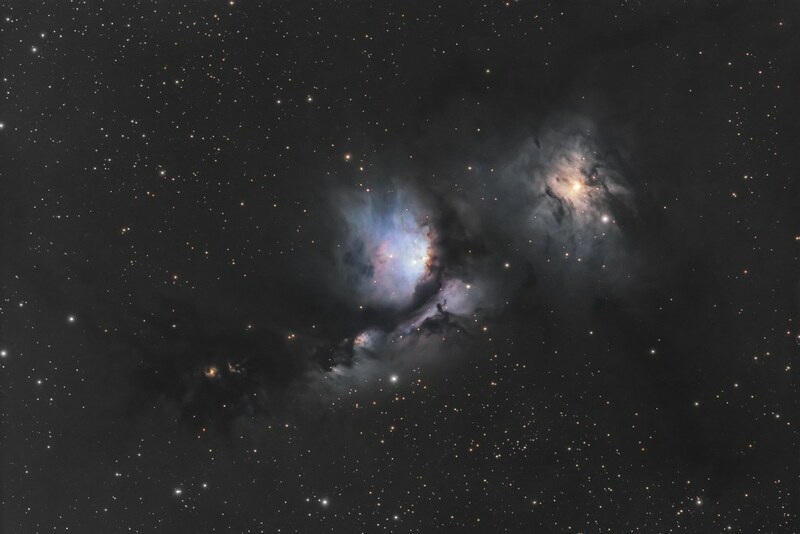 Orion M78 and a MISSING nebula ?!?! Finally finished my M78 project I started this past December. During processing, the color data I captured this past weekend wasn't very good - too little exposure - so I decided to use some older color data captured with my QSI-683 camera that never had matching luminance. Not as much blue in this as I wanted, as I had very limited color data and I always have trouble capturing enough blue. But I think the color palette looks pretty cool. But what is really cool . . . . I noticed a major difference between the two sets of data. McNeil's nebula is missing from my latest luminance data. Where did it go ? ? ? ? ? ? Edited by Daniel Dance, 11 February 2019 - 03:32 PM. Really nice image, where did you shoot this from, can’t imagine in Philadelphia? What was your exposure times?